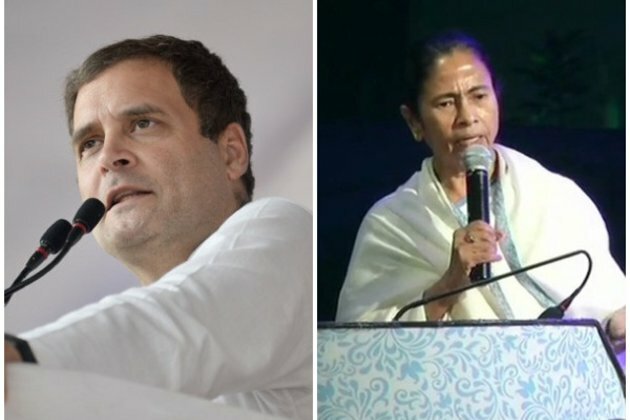 Kolkata (West Bengal) [India], Jan 16 (ANI): The Kolkata rally of Trinamool Congress (TMC) on January 19, planned to showcase pan-India unity among anti-BJP parties, will be given a miss by Congress President Rahul Gandhi as well as Left parties. The Congress will be represented by Leader of the party in Lok Sabha Mallikarjun Kharge, sources in the party said. Trinamool supremo and West Bengal Chief Minister Mamata Banerjee has been touring the country since the last one year in an effort to shore up a strong and united opposition front to fight the Lok Sabha elections against the BJP. According to sources in the West Bengal Congress, the state unit of the party wanted Rahul Gandhi and UPA Chairperson Sonia Gandhi to skip the rally and instead send a party leader. Also, the state leadership is believed to have told the party chief that Congress workers were ready to contest the upcoming Lok Sabha elections alone. The West Bengal Congress leaders are annoyed over the fact that the TMC supremo did not invite any state leader for the rally. Rahul in the past had assured his party unit in West Bengal that any decision in regard with forging an alliance with the TMC will be taken after considering state leadership's view. Left parties too will not be participating at the rally. Reportedly, Samajwadi Party chief Akhilesh Yadav and Bahujan Samaj Party supremo Mayawati are also yet to confirm their participation in the rally.